CLICK HERE for information on how long to wait before ringing for your results. Reminder to please ring after 2pm for ALL results. Elizabeth House RSH have now secured an additional room to accommodate the extra work. You must bring your blood form with you that the Doctor/Nurse gave you. 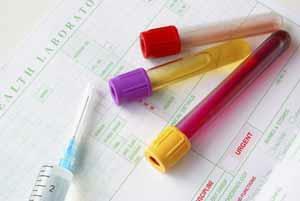 If you do not have your blood form the phlebotomist will not be able to do the blood test. Our telephones are very busy during the morning and so we ask you too please telephone for all test results (e.g. blood, urine, X-ray) after 14:00. The reception staff at the surgery are not qualified to comment on results therefore it is your responsibility to check them and make any necessary follow-up appointment with the doctor. Please be aware that we at the surgery have a strict policy regarding confidentiality and data protection. We therefore will only give out results to the patient concerned unless the patient has given prior permission for their release or if they are not capable of understanding them.